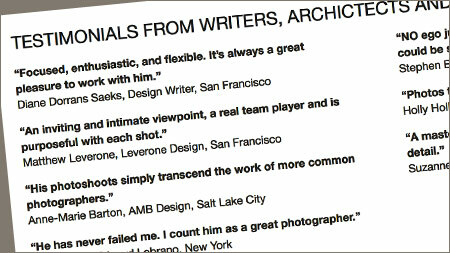 As an interior and architectural photographer in the San Francisco Bay Area, I photograph homes for the top designers and architects. 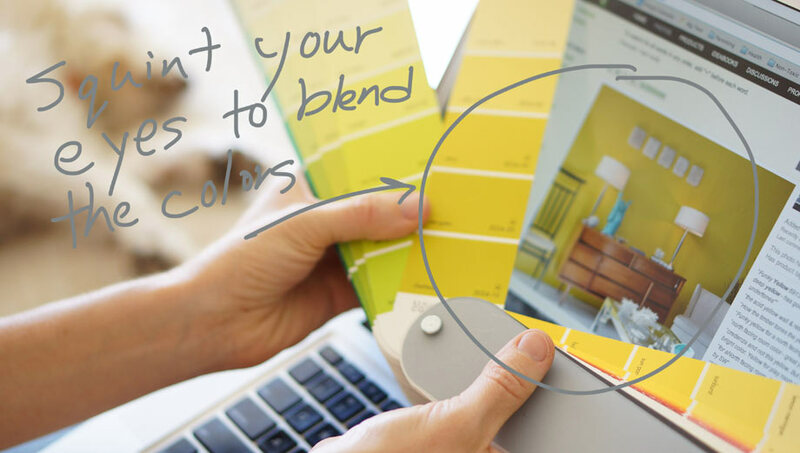 These professionals spend a vast amount of time selecting the perfect colors for the interior walls, finishes, furnishings and fabrics. For my clients, color matters a lot! In the tsunami of photos on the web and in magazines, the colors we see may or may not be the colors in real life. Welcome to the field of photography color management, which is about taking steps to control what we are seeing on our screens and on paper. When looking at color, it is the hue of the color that we mainly respond to. Hue is the gradient of colors. What we see is also affected by the value or lightness and darkness of that color; the saturation is how that color has been applied on the page or screen, soft like pastels or intense like neons. 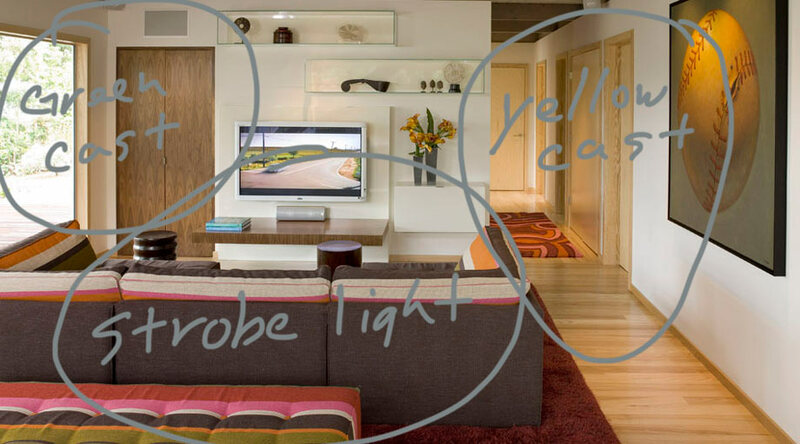 A lay person needs to know the color they see is affected by the type of light and the surroundings they are in. The light its can create color casts that change the appearance of the colors, think of the coolness of fluorescents or the warmth incandescents. This color cast of light also happens when shooting interiors. 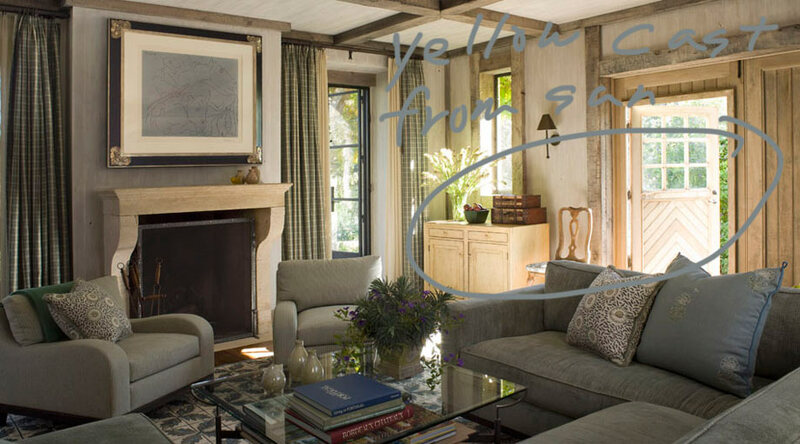 For example with a home in San Francisco on a sunny day the room has a warm glow, the rooms facing north get no sun but they have a blue cast from the waters of the bay and the rooms shaded by trees have a green cast to them as the light passes through the leaves, the south and west rooms share the warm sunny glow. 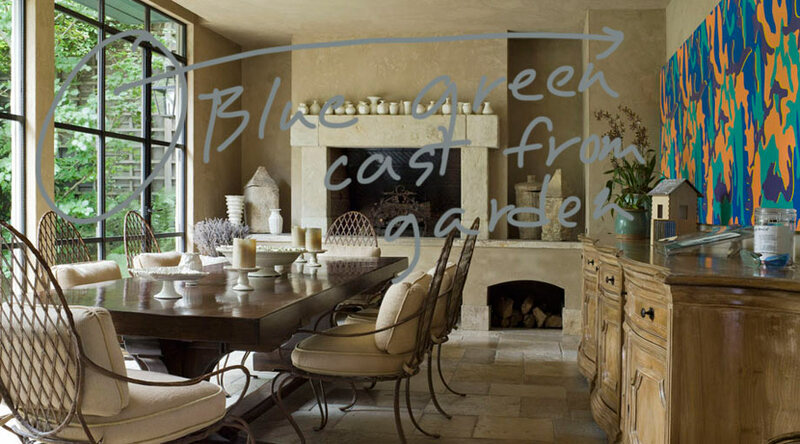 If in this home all the walls are painted the same soft white, they may appear warm and buttery in one room, cool and blue in another and soft and green in a third. The same paint color but three different colors that are experienced. As a professional photographer I work to correct these color shifts with Photoshop and adding my own lighting to “clean up” the colors while I am shooting. In the end I want my photos to appear natural and the walls will look the same from room to room. When as a viewer you look at photos from different devices they will show a color in different ways. 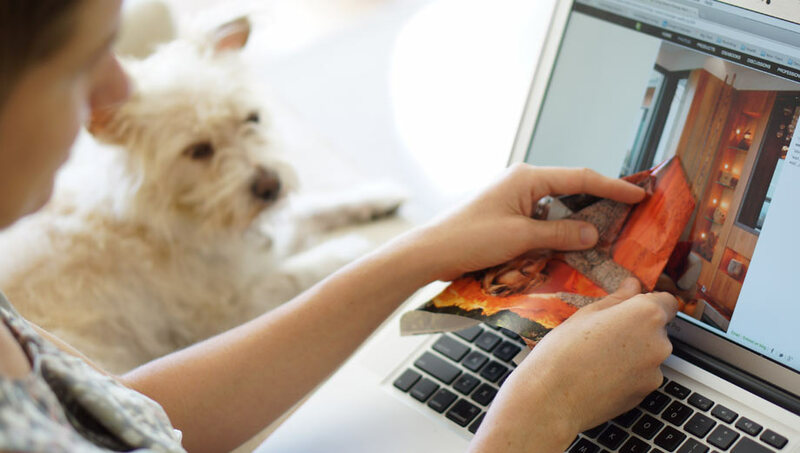 When an image is reproduced on a laptop, a magazine page or a photographic print, each of the outputs is slightly different and the colors may shift a bit. Imagine using different boxes of crayons to show the same image, each image looks different because different crayons were used to make it. The technical term for this is “color working space”. We do not need to get more technical but the bad news is that we are not sure what the color really was as we look from device to device. For those of us that need to communicate what the color is ideally we have a physical color match, a paint chip, a fabric swatch. 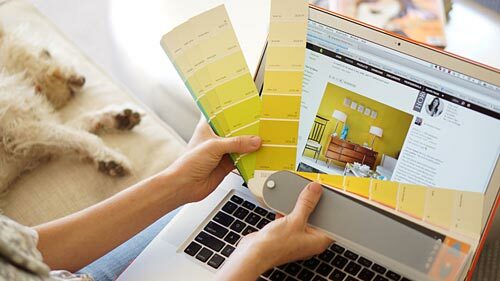 If the image is on your desktop computer, go out and get a number of paint chips to match your screen or tear out small bits from a magazine that match the color you see. Put the color match next to the photo and squint your eyes, if the two can “blur” together you have a match. The value and the saturation of the color will also be matched by this process. With this color match you now can take it with you to be your color guide. If two people are working remotely you can each have a paint deck that you use a reference. If you are a designer or architect and want to take more steps to control the color that people see when looking at your work online or in print, you may want to discuss “color management” more fully with your printer, web designer, graphic designer and photographer as all play a part in replicating the color. A quick search on “color management” at Wikipedia will yield lots information, enough to make your head swim. Look at your color choice in the room or space it will be in, do this at different times of the day and under night lighting to. Do not expect that the color you see photographed and reproduced is the actual color of the room, space, fabric or paint. 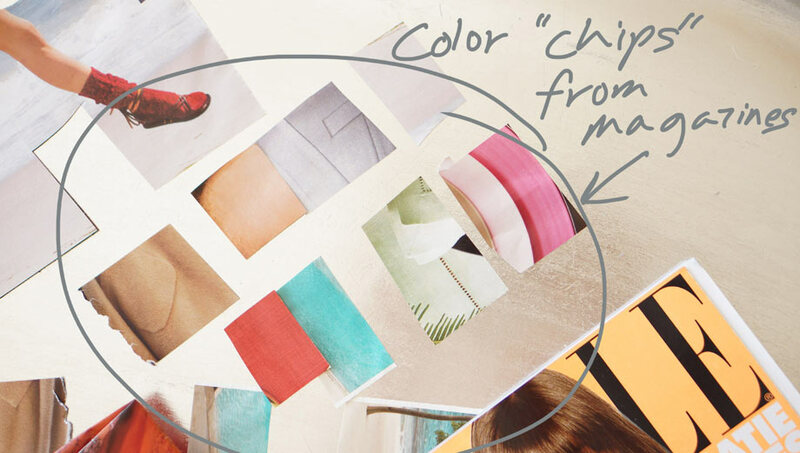 Use a physical color match, get color paint chips to match what you see or tear out the bits from fashion magazines to make a perfect match. Lately I have been using a new trick to talk with my Photoshop guy and get the colors I want. Using Google’s image search I select a few jpegs of the color that looks good on my computer and screen, I then email these color sample jpegs to show that color. If the receiver’s computer is a different color calibration, it does not matter. All they are doing is matching what they see now on their screen to my samples. Matched and done. 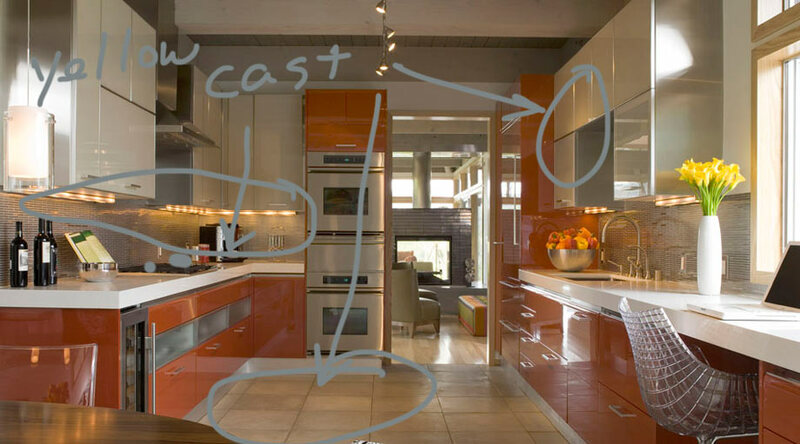 Here are some interior photography examples of how the color can shift in photos with different lighting conditions. Each of these photos have had careful color correction to reduce the color shifts that had been there in the field.